Many Maui visitors find their “first love” of Maui in these communities along the West Maui coastline. The drive over on the Pali highway alone is enough of a sweet seduction to make you want to tear up your plane ticket back home. 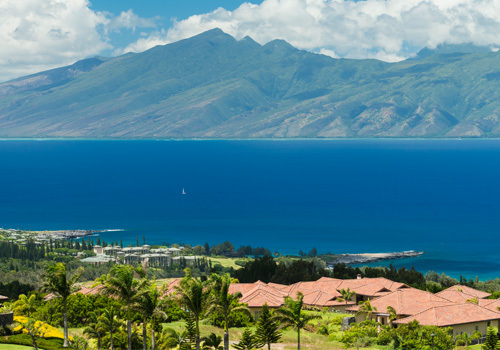 West Maui is idyllic in too many ways to count – with the charm of old Lahaina town, the glistening sands of Kaanapali, the gorgeous coves of Napili and the lush green landscape surrounding Kapalua that leads down to endless azure waters, just to name a few. Fabulous beaches, world-class golfing, beautiful condos, amazing estate homes and luxurious oceanfront possibilities await your approval.